Good looking, intuitive, customizable and light-weight, BlogBridge is a hugely impressive newsreader package. BlogBridge aims to keeps you informed about the state of your subscriptions while sticking to a basic, straightforward system. On the first run, you are given the option to register and pick from a predefined list of blog “guides” or groups. The next step is to enter custom terms that are of particular interest to the user, so that the program can highlight these terms, giving them more prominence. The easy-to-use rating system is excellent and allows users to give feeds a score from one to five stars. The ratings can then be used as a filter to show only the top feeds, making it easy to scan through the most relevant news quickly. 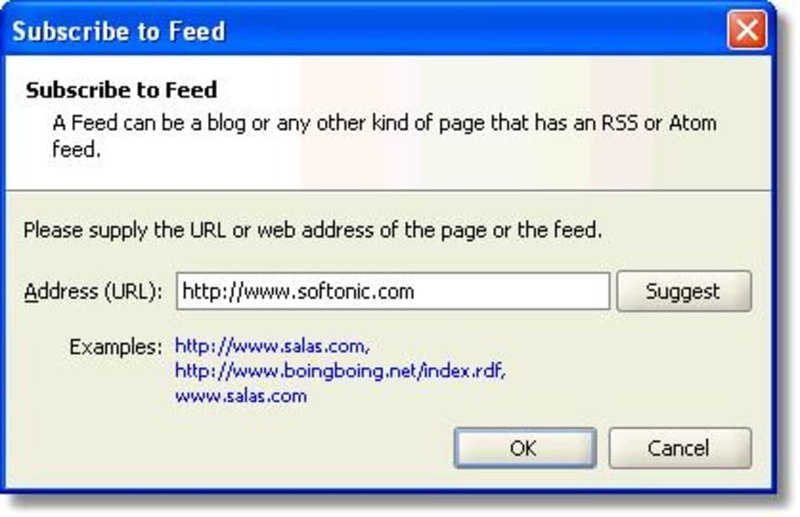 Other great features come in the form of tags for feeds and a synchronization system for using the reader on multiple computers without the need to sort through the same information more than once. BlogBridge is a quality package if you are searching for a more original and powerful RSS reader. So you are a real info-junkie - you need to scan through much more information than others. You probably are subscribing to hundreds of information feeds - blogs, data feeds, news feeds, etc. Feeling a bit overwhelmed? 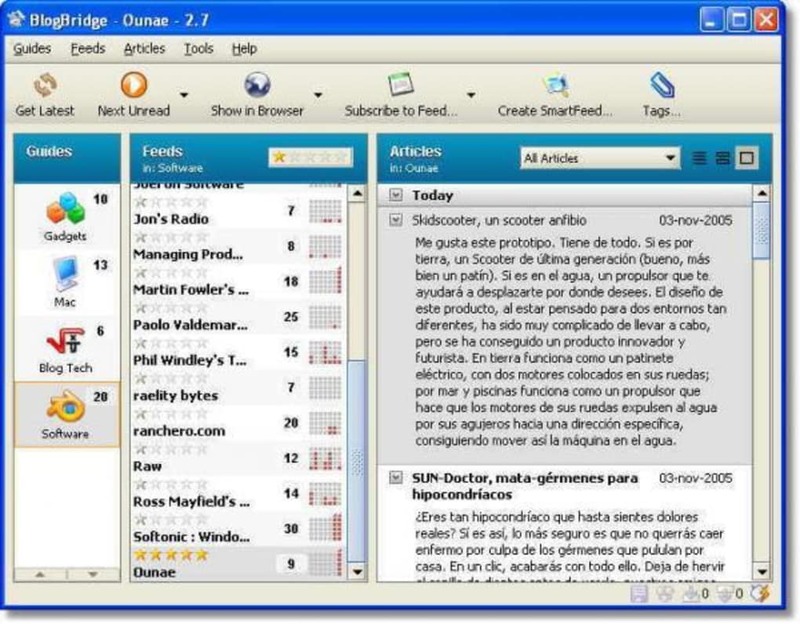 BlogBridge is a blog, feed and RSS aggregator for "info-junkies." While there are other aggregators out there, BlogBridge is designed for people who are required to follow lots of feeds, not 10 or 20, but 200 or 400. You can't read that much, so BlogBridge gives you lots of ways to organize, sort through, skim and discover what's important to you in this avalanche of information. Addictive. I recently switched to Blogbridge to follow my blogs and it's definitely become my favorite. It's really customizable and looks good, with thumnails and embedded images. I really appreciated the fact that it automatically picks up feeds just from the web address. I hate rss readers where you have to enter the feed url, because if you get it wrong it won't correct it for you. Blogbridge also seems to be the only one to allow you to set tags and ratings, something I've gotten totally addicted to, thanks to the web 2.0 craze. On the downside I almost gave up installing Blogbridge. The installation process was just really long and repetitive. Cool rating system and tags. What do you think about BlogBridge? Do you recommend it? Why?